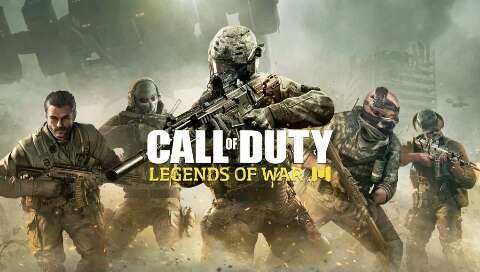 Here, you can download Call of Duty: Legends of War which is one of the best shooter games on mobile and expected to be successful this 2019 just as PUBG Mobile was in 2018. Call of Duty is a household name in the action gaming world similar to the likes of Battlefield, Brothers in Arms, With the war theme, PUBG and lots more. Don’t get it wrong, there are other games named “Call of Duty” but these games do not give players the best experience because they are not the official version but modified by different programmers. Late last year, Activision decided to move into the mobile market when it announced via Variety that will cooperate with Tencent to develop a Call of Duty mobile game called “Legends of War“. Currently, the alpha version of the game is being tested in China, players need to use Chinese IP to register Call of Duty: Legends of War. Perhaps they want to improve the issue and create a stable version before releasing it globally. 1. Become a great soldier: In Call of Duty: Legends of War, you become a soldier and engage in the most realistic battle in mobile. With the fierceness of the war, you need to fight, defeat enemies to gain life for yourself and your teammates. HUD of the game still uses the familiar MFI style of FPS games with virtual navigation keys on the left and some function keys on the right. If you like, you can change the HUD in Settings. Like the PC / Console version, the game brings you the classic modes of Call of Duty such as Team Deathmatch, Frontline, and some other modes. Challenge other players around the world, join together in the most devastating war on mobile. Besides the modes, Call of Duty: Legends of War also has some maps for optional players like Natuown, Crash and Hijacked. What is good news? Zombies mode has been available. You can choose either Campaign or Story mode. 2. Weapons: As a soldier, weapons – guns are an indispensable friend on the battlefield. The firepower of the gun is important, but the most important is the skill of using it. Activision has updated many familiar weapons such as SMG, MG, Sniper, Rifle, etc. Not stop there, you can continue to upgrade and customize your favorite weapon, such as adding some kind of Scope like Red Dot, Hodo, or using some Supply, Drops such as silencer, bullet, etc. 3. Characters: Speaking of characters, you can choose the iconic characters of Call of Duty, including Call of Duty: Modern Warfare and Call of Duty: Ghosts. The game encourages you to develop your character by upgrading and unlocking Perks, Weapons, Skills or enhancing your character’s aesthetics with some color or skins. Create your own “Super Soldier”. 4. Great graphics quality: I can’t deny this. Call of Duty: Legends of War uses Unreal Engine 4 graphics technology, giving you a great visual experience. Through the above images, it can be seen that the graphics of this game quite similar to PUBG Mobile – famous survival game of Tencent. Perhaps that Tencent has given Activision “borrowed” their graphics? Buildings, trees, tanks, helicopters, … are designed to resemble real battles in the past. Besides, the effects of bombs and sound effects make the battle even more fierce. Download call of duty: Legends of war Apk from here. This game is not currently officially available to all countries but you can still download it from any country with the help of a VPN. Also note that you should not sign up with your Facebook ID else the game won’t play if your country is not among the supported nations. All the same, it’s likely that it will be officially rolled out to all regions this year. MokoWeb is not the official developers or distributors of this game but this post is for educational purposes. We usually recommend downloading games from play store or from the developers website so you are fully responsible for the use of this app and its content.